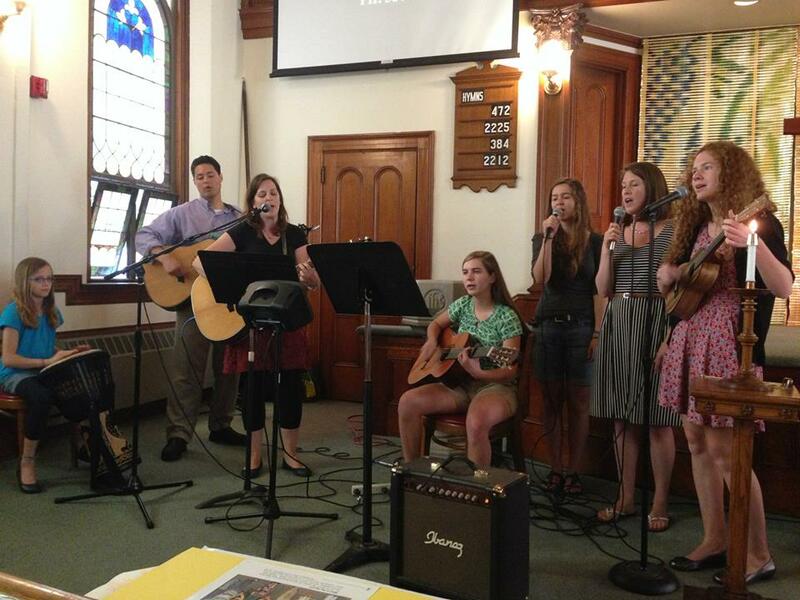 Providence Presbyterian Church includes a variety of musical styles in our weekly worship service. We welcome all musicians and music lovers to be part of our ministry. The Chancel Choir sings in the 10am service each Sunday. Practice is held downstairs at 9:15am each week and also following the service. Anyone interested in joining the choir is welcome. For more information, please contact Lisa Masotta or speak to Elena Kishkovich, the Choir Director. The Worship Band at PPC brings gifts of singing, playing guitar, piano, drums, and other instruments to worship and helps lead the congregation in the 10am service most Sundays. The band is always on the lookout for people who would like to join — please talk to Lisa Masotta or any band member for more info. The Ghana Choir is made up mostly of members of PPC who come from Ghana in West Africa. Along with sharing traditional African choruses and songs, the Ghana Choir leads the congregation in hymn singing and praise. Anyone who is interested is welcome to join—please contact Gladys Brown or speak to any choir member. Do you have experience playing a musical instrument? 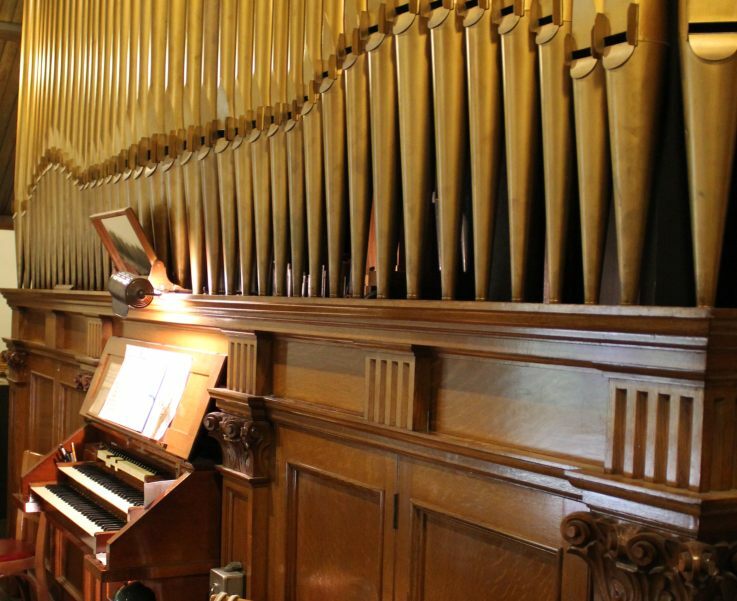 God has blessed PPC's music ministry by providing many instrumentalists from our congregation who play alongside our choir or with congregational singing. If you'd like to share your talent, please contact Elena Kishkovich (401) 651-5175. Does your child enjoy singing? 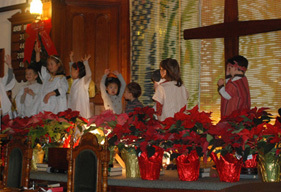 We invite children 1st grade and up to participate in the Children's Choir. This is a music ministry that is being led by Gina Bae – contact her for more info!